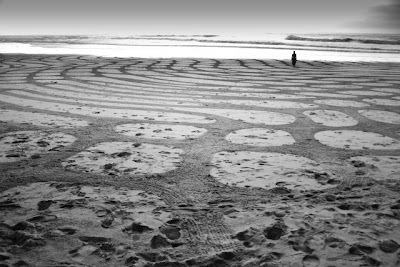 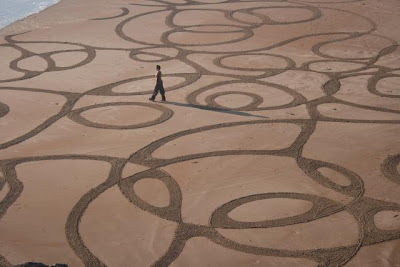 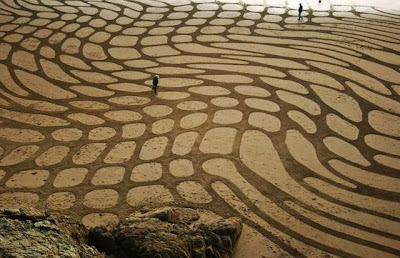 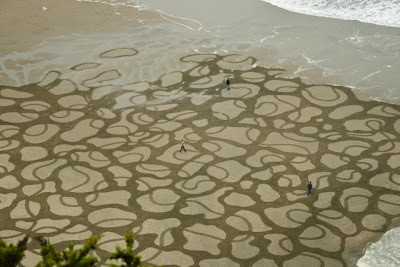 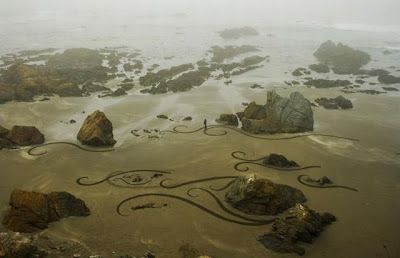 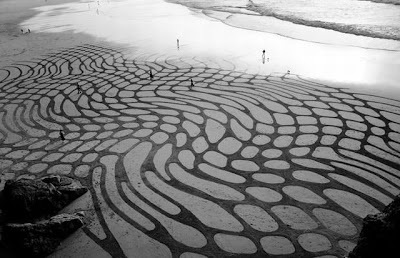 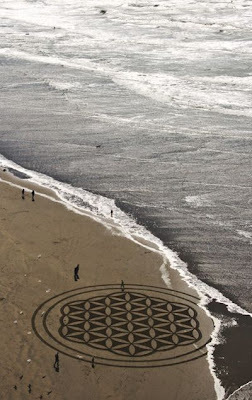 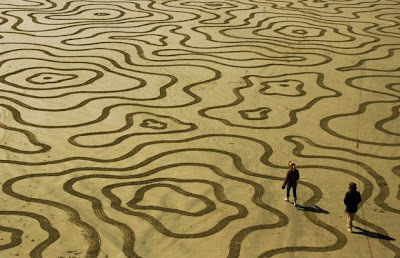 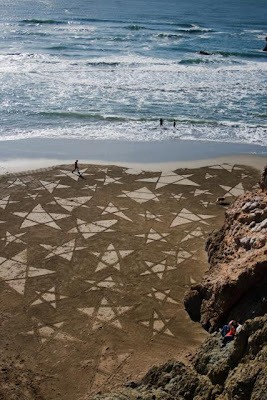 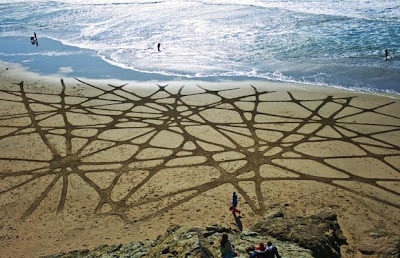 Andres Amador works with one of the biggest canvases available, with entire lengths of beaches swallowed up by his art. 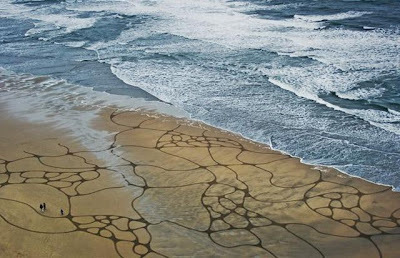 Sadly the sea is no discerning art critic, for once the San Francisco artist finishes his staggering artwork, the waves come in to wipe the slate clean. 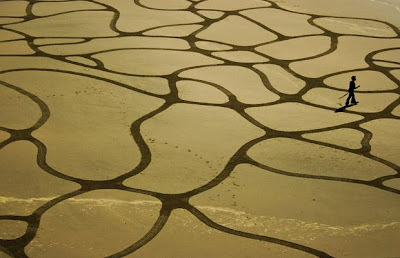 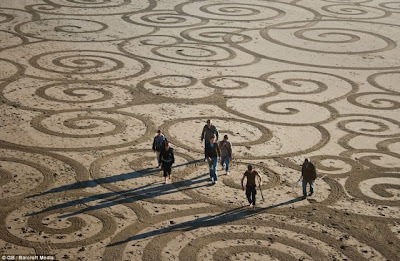 Many of his stunning images, which start out as simple squiggles in the 39-year-old's notebook, span an incredible 500x300feet and are raked into the grains in a race against the tide. 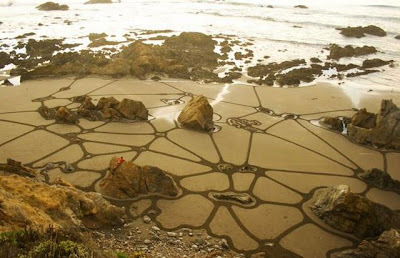 Using a canvas crafted by the elements the patient American waits for a full or new moon to make sure low tides offer him plenty of space to muster the incredible patterns.